WHETHER UTOPIAN OR AUTHORITARIAN, buildingsthe places in which we live, work, diehave always reified systems of power. 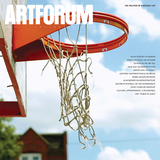 Today, when civic structures and urban spaces are increasingly at the center of political debateswitness the resurgence of marches, protests, and strikes in cities around the globeArtforum invited architectural historian Mabel O. Wilson to speak with senior editor Julian Rose about the politics of race, labor, and architecture. 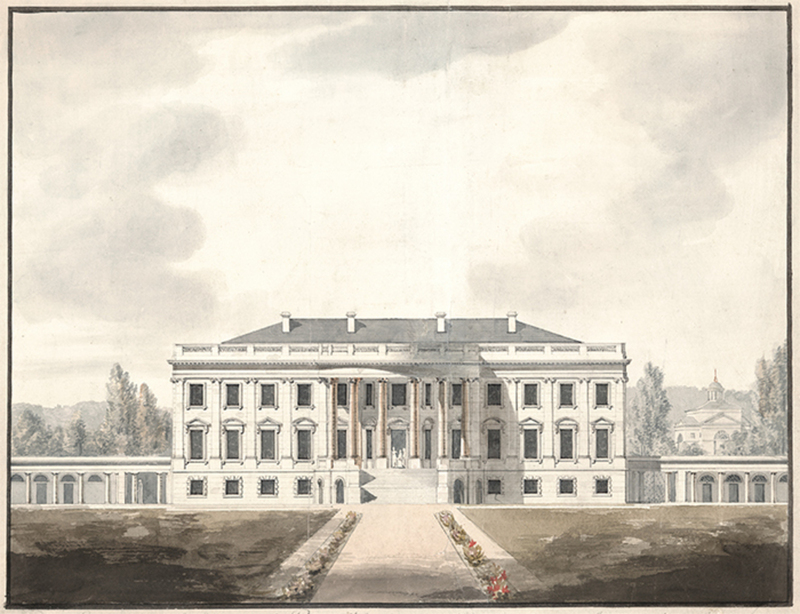 Benjamin Henry Latrobe, The White House, Washington, DC, South Front Elevation, 1817, watercolor and ink on paper, 16 1/8 × 21 1/4". JULIAN ROSE: Architecture is one of the central ways through which politics enters everyday life. The buildings that surround us, the spaces and structures we inhabit, are all physical manifestations of the cultural beliefs and social systems that order our society. And as material things in the world, buildings can embodywith brutal directnesseconomic inequalities and labor politics. But architecture is also a potent political symbol, and sometimes architecture’s symbolism collides head-on with its material realitytake the response to Michelle Obama’s remark, in her convention speech last year, that she lived in a house built by slaves. She was met with disbelief: Right-wing pundits refused to acknowledge that slaves played any role in the construction of the White House, and even after numerous news organizations had confirmed that she was correct, Bill O’Reilly infamously weighed in with the absurd defense that the slaves who worked on the building had at least been provided with room and board. The history of architecture in America has always been bound up with the history of race, but how do we begin to address and redress this legacy? MABEL O. WILSON: I would go further than that. I actually think the emergence of architecture as a modern discipline is itself inseparable from the problem of race. And by this I mean architecture as distinct from buildingafter all, people around the world have always built. I’m referring to a very specific, Western humanist notion of the architect as someone who thinks, who designs, who draws, but who does not build. He is an intellectual, in other words, who works very abstractly, through reason, and is distanced from the physical labor of construction. JR: You’re describing the difference between the medieval mason, who is essentially a craftsman, working on-site to make a building with his own hands, and the Renaissance architect, who works remotely, producing drawings that are then sent to a building site to be executed by manual laborers. MW: What’s interesting to me is that this distancing of architecture from labor is part of a much larger early-modern epistemology, a whole new worldview that also produced its own ontology, which was, by definition, universal: the birth of the humanist subject. But of course that subject, the modern “Man,” is not universalit’s exclusively European, and it was invented exactly at the same time that the era of European colonization was beginning. And so race is deeply embedded in the emergence of the modern world and the emergence of modern architecturewhich becomes, in part, about the maintenance of racial hierarchy. If you look at colonial architecture, for example, it’s about whiteness. It’s literally constructing whiteness, creating a narrative about the history of culture through building that consolidates a European worldview. And America is a result of this process of colonization, the conquest of indigenous populations, and the slave trade. JR: In the US, this kind of architecture was not only imposed from Europe as a manifestation of imperial power but was self-consciously adopted so that it could contribute to the project of nation building by constructing precisely that kind of legitimizing cultural narrative. Take Thomas Jefferson. A building like Monticello is obviously his effort to establish himself as the heir to European Enlightenment valuesit’s the archetype of the Neoclassical villa. But it’s also an infamous manifestation of the very contradictions that America was founded on: It was a working plantation, run by slaves. MW: It’s fascinating that within the national narrative, within the narrative of the founding fathers, that other history gets completely repressed, because the two can’t be reconciled. The paradox is that the liberal American subject was being imagined at the same time that the American body was dependent on enslaved labor to construct its shelter, to be bathed, for food, for sexual pleasure. How do you account for Sally Hemings? To whom did she belongherself or Jefferson? That was the problem. JR: The fact that some of America’s most revered architecture is literally the product of and the site of that kind of exploitation is obviously difficult for many people to grasp, because when we look at it that way, the building ceases to be an abstract political symbol and instead becomes a blatant embodiment of these very contradictions. So the tensions you’re pointing out clearly have important implications for architectural history, for how we tell the story of monuments like Monticello or the White House, but I also wonder what they suggest for the practice of architecture today. You place architecture in such a central rolebut of course it’s at the center for all the wrong reasons. Does architecture’s deep entanglement within a network of social, political, and economic forces grant it a degree of agency, a power that architects could leverage for good? Or will architecture always be more of a physical symptom, relegated to registering or enacting these forces and unable to resist or deflect them? MW: I think architects need to be very cautious. Because architecture is such a pragmatic discipline, it’s often assumed to be inherently progressive. When we have a problem to solve, we bring in the architects, right? And architects themselves tend to think in a very utopian way: “My work is going to make the world better.” But I always feel that architects look into the future without really recognizing the current conditions under which they create. And the question for me is whether the techniques and theoretical frameworks of architecture, those disciplinary methods that are supposed to improve the world, are already part of the problem. We can’t simply mobilize those tools without thinking about their origins. Other disciplines have already started this processlook at the way critical race theory took on the law. Going back to the civil rights movement, there was the assumption that the law would become a tool of justice, that the law was going to get rid of segregation. But then, as Cheryl Harris pointed out with her notion of “whiteness as property,” for example, there is also the way in which the law worked to assure inequality. I think architecture has been very late to the game in terms of gaining this kind of disciplinary self-awareness. JR: I wonder, though, if there’s still a utopian or at least positive possibility in the pragmatic side of architecture. I’m thinking of the current debate about the shortage of affordable housing in New York, for example. On the one hand, you could certainly argue that this is fundamentally a social or economic problem, but on the other hand, it still requires some sort of spatial solution. So do architects have a contribution to make, even if we admit that they can’t single-handedly resolve the underlying crises of gentrification, homelessness, and housing? MW: Well, again, I’m very skeptical of architecture as an agent of progress. Modernity saw architecture as a key part of the vanguard leading society forwardthe promise of building better housing, better schools, and so forth. But of course this idea of a vanguard, of the civilized and cultured, is completely racial, emerging in the nineteenth century at the same time as nationalism and industrial capitalism, and modern architecture became an engine for sorting out the new spaces of the nation-state and the industrial city. JR: So it’s hard for you to think about architecture addressing a specific problem, say, urban housing, without first having a broader reckoning with its role in society? MW: I don’t think I’m quite what you could call an Afro-Pessimist, but I am beginning to fundamentally question humanism, and by extension architecture’s role within it. Architecture has always propped up Man with a capital M, whether we’re talking about the Vitruvian Man in classical antiquity or Le Corbusier’s Modulor Man in the twentieth century, and architecture has always excluded other ways of being human. There’s a brilliant theorist, Denise Ferreira da Silva, whose book Toward a Global Idea of Race  asks whether there are other modes of existenceand other, more diverse kinds of subjectivitythat don’t fall within the framework of humanism, and I’ve been thinking recently about what her ideas might mean for architecture. JR: Perhaps those other ways of being in the world would entail other forms of community, which would have their own spatial configurations and require their own material structures? To be optimistic, in other words, wouldn’t we need to imagine an alternative architecture at the same time that we imagine alternatives to humanism? MW: Yes, there might be some forms of spatial practice that are more open, less gendered, less heterosexual, less white. But I think in order to get there, we have to do more than just recalibrate the rhetorics and representations and ideologies and practices that architects currently employ. I’m always an optimist, so I don’t think it’s all doom and gloom, but I do feel like we have to do some deep questioning about our fieldwe can’t rush to solutions without thinking about how we got here. Architecture has always been an agent of power, perhaps not unwittingly, but unselfconsciously; it has been the means through which the powerful literally constructed their world. I mean, for God’s sake, Donald Trump is a developer! And he has worked with some very well-known architects over the years. 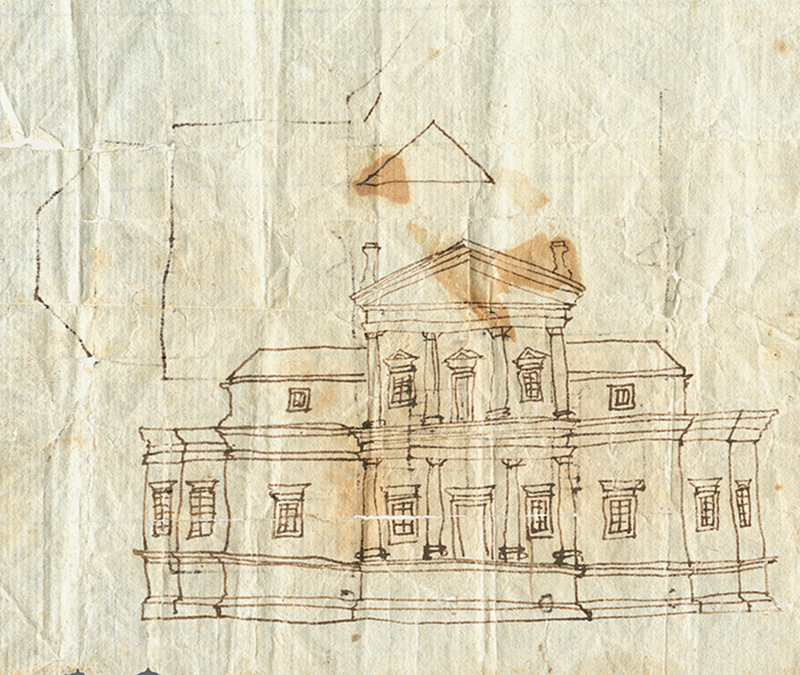 Thomas Jefferson’s sketch of the first Monticello, 1769–70, ink on paper, sheet size 4 × 5". © Thomas Jefferson Foundation at Monticello. JR: If only he’d stuck with that! I wonder, thoughso far we’ve been talking mainly about architecture in the sense of building, but do architects have another kind of contribution to make that is more concerned with the intersection of the spatial and the social? At least in theory, architects have expertise not just in the design of structures but also in the organization of functions within them. Would a less ambitious but more immediately effective strategy be for architects to move away from utopian goals like reimagining the city, say, or inventing new types of housing, and instead focus on programming the projects they are already being asked to do in a more considered way? I’m thinking of the inclusion of public spaces or community centers in new construction in gentrifying neighborhoods. That kind of gesture obviously can’t stop the relentless pace of gentrification, but maybe it’s a means of ameliorating some of its effects? MW: You can imagine that as one approach. Last fall at Columbia University, where I teach, we hosted a conversation, which included Wolff Architects from Cape Town, about how architectural practices can influence the success or failure of the social aspirations of their projects.They showed a project in which a private developer had approached them about converting an existing industrial shed into a business incubator. Their proposal was to house the incubator, which was the moneymaker for the client, in the upper part of the shed, and use the lower level as a huge market, open to pedestrians, where locals, some of them informal traders, could set up shop to sell their crafts. After the building opened, they found that their aspirations for the market didn’t necessarily match the owner’s concept of what should be sold there. The client wanted crafts that were aimed at touristssouvenirs and so onand the architects saw it more as a space of opportunity for local artists, or people who wanted to establish their own small businesses. It’s interesting to see how projects like that get negotiated, and where they succeed or fail in the long term. JR: It’s a dilemma: Architects might have innovative ideas about how a space can be used, but they rarely have the final say over what happens there. MW: Gentrification may be one of those things that’s beyond architecture, although I do wish architects were more aware of the need to join the conversation about it. I think the High Line is an absolutely amazing project, but it would have really worked only if Chelsea had remained affordable and accessible. Instead the project generated something like two or three billion dollars’ worth of property value around it. The architects’ intent was to create a viable public artery, but it became clear that that’s not possible in the hypercapitalist node of global finance that is New York City. JR: No one even lives in many of those luxury apartments. I’ve heard that some of them will never be furnishedand some never even finished! There are no moldings, no fixturesjust architecture in its rawest form as a place to park money. MW: I call them space-deposit boxes. I should trademark that. JR: You should! But your point about the High Line makes me wonder if the problem goes even deeper. This is a terrifying thought, but has the same thing that happened to those apartments happened to urban space itself? That’s far worse than the old complaint that urban space has been commodified, in the sense that it has been reduced to a space of consumption. Here space itself becomes a form of capital, so there’s no longer a need for any kind of subject at all, not even as consumer. Are we at the point where any project in the city, even an ostensibly public one, becomes about generating value for developers? JR: But can architects help fight that totalizing capitalization? MW: Maybe. Mario Gooden and I actually gave a talk last year at Black Portraitures III, a multidisciplinary conference on imaging the black body organized by Deborah Willis and others, in Johannesburg, about the protest tactics used by Black Lives Matter. We argued that the civil rights movement had understood public space as contained and controllable, so its mode of protest was to transgress enclosure, to enter the space of control. But today you don’t control space by establishing boundariesyou do so by regulating what flows through it. Space itself is more fluid, and so are mechanisms of control. Black Lives Matter have recognized this; we cited one moment where people were coming across the Brooklyn Bridge, chanting, “Shut the system down!” Today, to take to the streets means precisely thatto disrupt the system by preventing movement through the city. JR: There has been a lot of discussion about how effectively Black Lives Matter have deployed social media, but I’m not aware of much conversation about their negotiation of urban space. You seem to be suggesting an opportunity for architects to contribute to that kind of strategic thinking, and some of those ideas are forcefully advanced in the Critical Field Guide for architects  that you worked on. Did it grow out of this research? MW: The Critical Field Guide grew out of a coalition that I helped to start called Who Builds Your Architecture?, which examines labor practices in architecture. And that coalition itself was a response to the Gulf Labor movement in the art world. I remember looking at the list of signatories to Gulf Labor’s first letter to the Guggenheim Foundation with a colleague of mine, Kadambari Baxi, and thinking, “Where the hell are the architects?” Why was it that artists were the only ones trying to hold this institution responsible for the exploitation of workers in the Emirates? We started informally asking our architect friends about labor practices, and they all just kind of said, “Of course we’re concerned about it, but we don’t hire the construction labor. That’s the contractor, and the contractor has a separate relationship with the client, so we don’t have any connection to the construction workers on-site.” And when we asked them if they would sign a pledge refusing to work on projects that don’t guarantee fair labor practices, none of them would, because again they said that was beyond their control. We almost got the sense that they didn’t want to take a public stand for fear of future clients hearing about their position. So we realized that what Gulf Labor was doing wasn’t going to work in our field, and because we hit that roadblock we ended up starting this much bigger project, which was essentially to start a global conversation about these issues and to educate architects about the role they play and the influence they could have. We talked to firms that had done a lot of work in the Middle East; we also talked to human rights groups and started reading a lot of their reports. JR: Were experts from other fields already thinking about building and space, or was that a gap? I imagine that a lawyer for Amnesty International is not going to look at a labor camp in the same way that a trained architect would, for example. MW: We were constantly surprised, reading reports by Amnesty and Human Rights Watch and other humanitarian organizations, by how much of what they were describing was actually about architecture, about where people were living, for example, or how they were moving through the city. And we thought, OK, these are clearly things an architect knows about. Those organizations work primarily through the law, so they are making legal arguments. But because those arguments are often built around spatial, material, architectural, and urban issues, we were able to mine their reports and literally map out the processes and relationships they were describing so that we could start to figure out where the architect was in all of it. And so eventually we came up with a number of tactics that architects could begin to think through and deploy. For example, one of the things we’ve emphasized is that drawings aren’t just documentation of an architect’s visionthey’re instruments of communication, and they convey precise instructions for building. JR: That goes back to the idea we began with, that architectural drawings were the things that allowed architects to distance themselves from physical labor, to shift their own identity from that of craftsman that of intellectual. MW: But if you think about it, if you design a building in a particular way, you will inevitably impact the person who’s building it. And the drawing is actually a contract, in the legal sense, which directs the contractor and the workers. We tell architects that you always have to think about those things as you put a set of drawings together. Even if you think you have no connection to the way a building is built, through the execution of the drawing you’re speaking directly to the labor of construction. You might feel alienated, but in the end you’re always connected.